Recover accidentally deleted important project files and other essential documents from inaccessible USB digital media. Restore missing, misplaced data from all types of removable media drives. MAC USB Digital Media Data Recovery software recovers damaged data from inaccessible USB mass storage drives of any capacity. By using this advanced software for Apple Macintosh OS X, you can easily recover all your lost or deleted official files and other important documents in just few minutes. 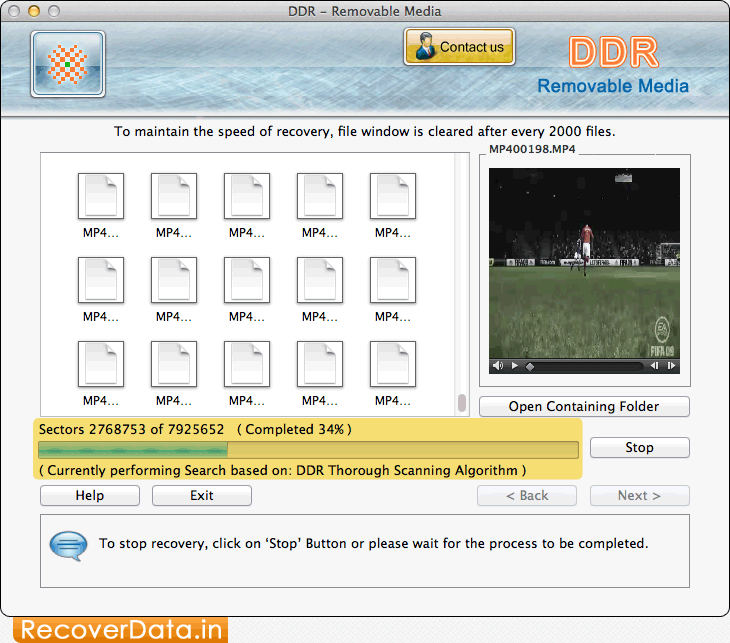 MAC USB Digital Media Data Recovery software provides advanced search algorithm to recover lost data from corrupted memory cards and USB drives. USB Digital Media Files Retrieval utility for MAC OS X completely get back your accidentally deleted pictures, text documents, song files, audio-video clips and other data within minimal time. Professional Removable Media Data Restoration tool for Macintosh machine provides facility to restore misplaced crucial files and other important data from USB digital media. Software easily supports all major manufactures of Digital media like Kingston, SanDisk, Sony, HP, canon, Samsung etc. Application supports wizard style GUI interface so that non technical users can also operate the software without any expert’s guidance.